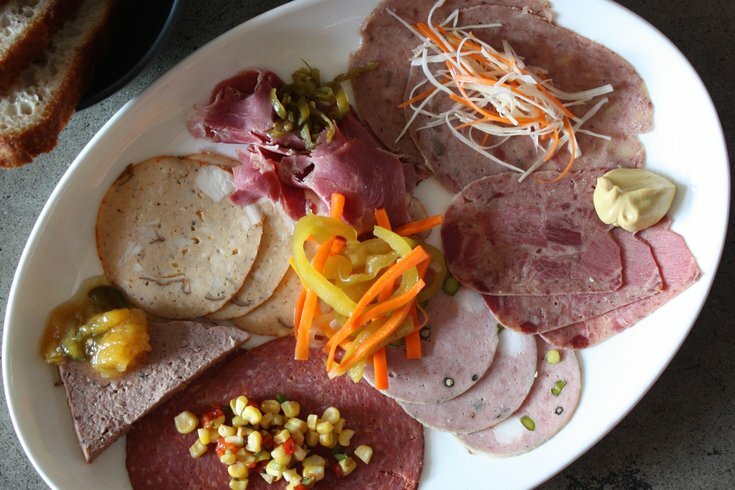 The Mixed Charcuterie platter on Kensington Quarters' lunch menu. Fishtown butcher shop and restaurant Kensington Quarters is adding lunch to its repertoire. So far, they've been serving dinner and brunch in their expansive space, which also includes plenty of room for learning butchery best practices in their classes and workshops. Lunch will begin Tuesday, Nov. 3 and will run Tuesday through Friday, noon-3 p.m. and Saturday, 11 a.m.-3 p.m. Owner Michael Pasquarello has been busy as of late; not only did Kensington Quarters recently launch a series of Chef's Table dinners, but he will also be opening Buckminster's, a Neo-French bistro, in Point Breeze this fall.